Material: plastic, carbon fiber, aluminum alloy. Technology: carbon fiber molding, plastic blow molding, aluminum alloy, CNC processing. 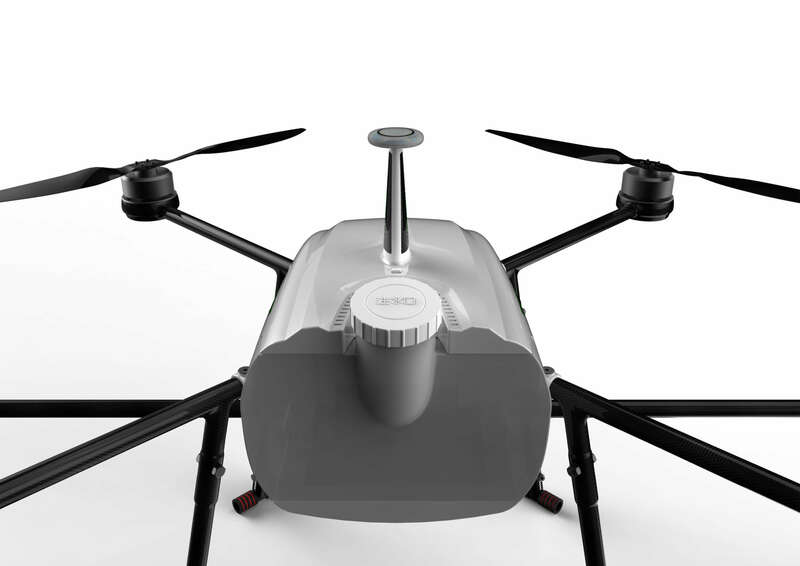 In the design process, how will the UAV itself to a minimum weight is a big problem, but also need to meet the rain and water treatment operation, late cleaning, due to internal components of heat, heat is also a headache. 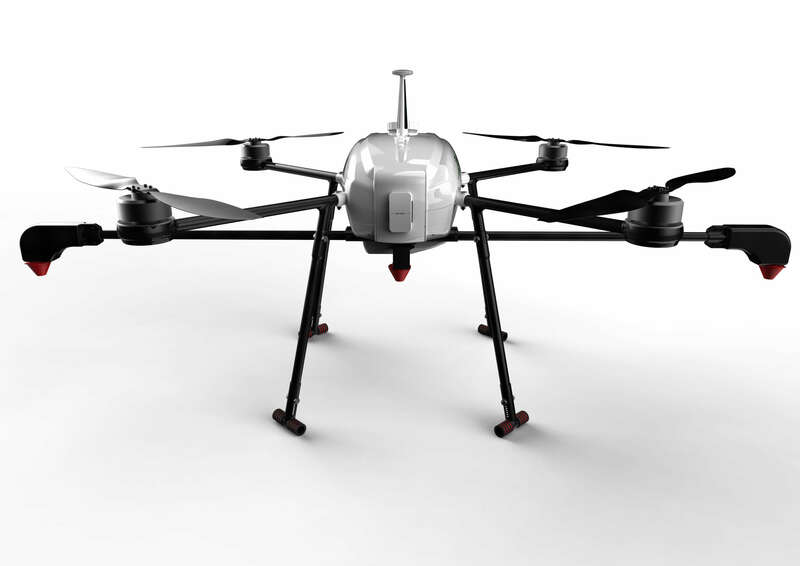 On the other hand, there is also a need to reduce the damage to internal components due to inertia when the UAV lands on ground. 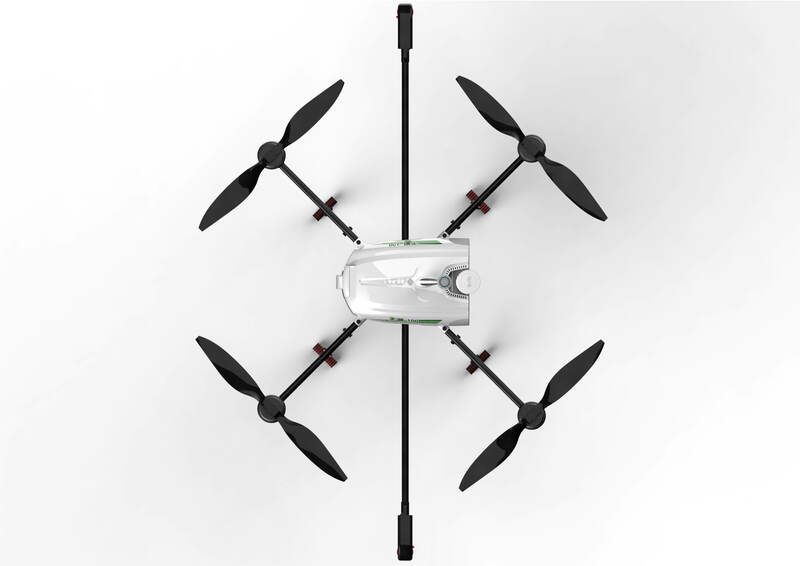 Therefore, we finally give the program for the UAV shell and skeleton are carbon fiber material, the main part of the modular design, easy installation and disassembly, while solving the waterproof problem. As for heat dissipation, we designed a L type blow tank, which can be used to heat the tank at the same time as the loading dose is constant. 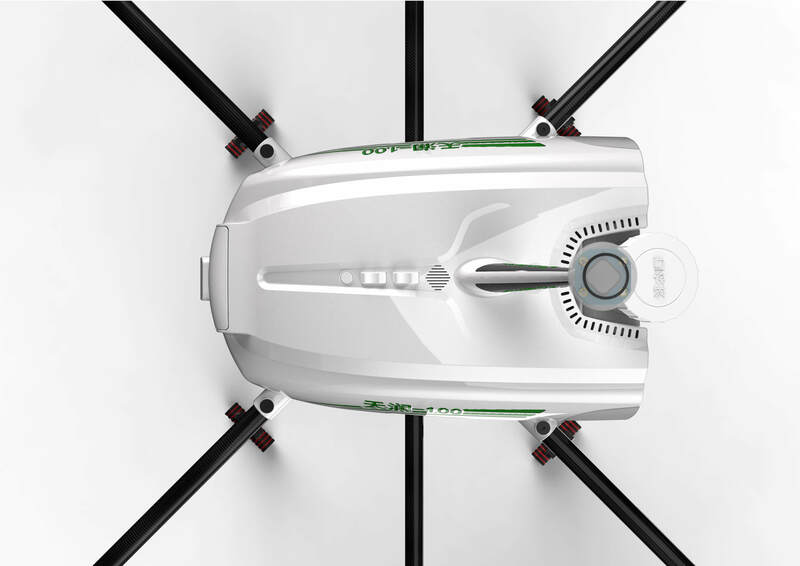 Then the buffer is designed at the bottom of the support to effectively solve the problem of landing when the UAV is landing. Small unmanned helicopter operation with low height, low drift, but hovering and without special landing airport, downdraughts rotor helps to increase the flow of fog penetrating crop, control effect, remote operation, spraying operation personnel to avoid the risk of exposure to pesticides, improve the advantages of spraying safety. 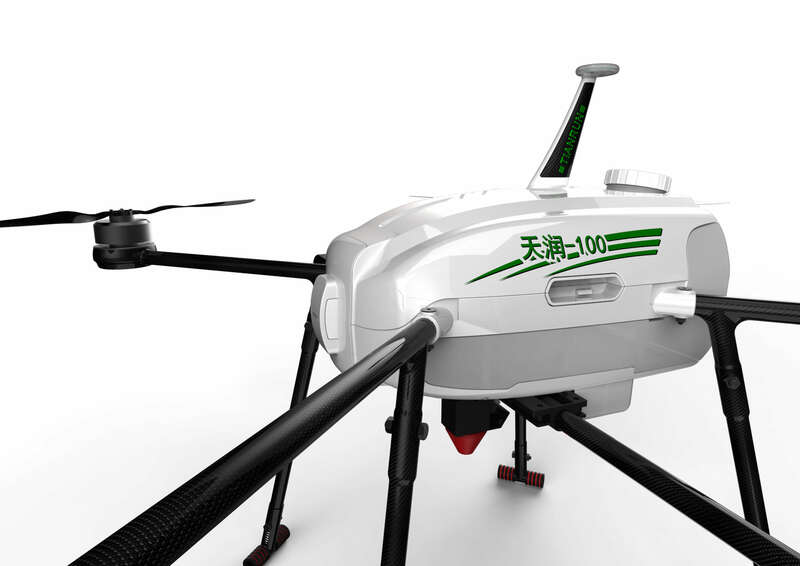 In addition, the electric unmanned helicopter spraying technology adopts spray spraying method, at least 50% of the pesticide consumption can be saved, and 90% of the water consumption is saved, which will greatly reduce the resource cost.